Yesterday focused on the colder weather and low storage levels, both adding pressure to spot and near curve prices. UK NTS demand is expected to be 4mm cm higher today, which will put even more pressure on our depleting gas storage. 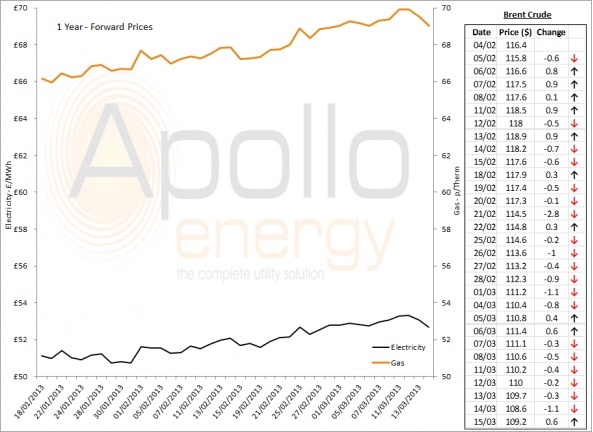 Higher-than-expected demand helped to push European spot and near curve gas prices upwards yesterday. Today, however, we're expecting UK NTS demand to remain fairly steady. 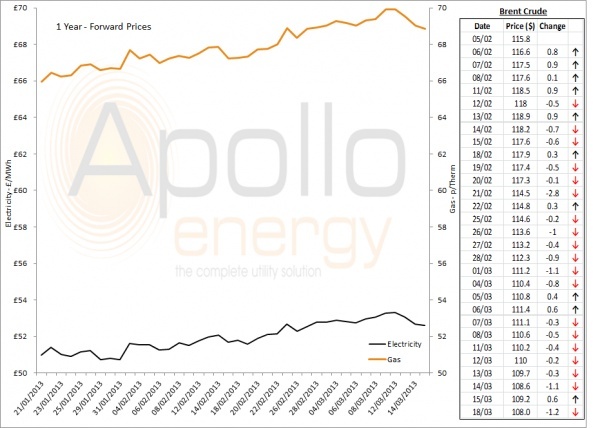 Weaker demand on Friday helped push gas spot and near curve prices down further, so much the outage at the Norwegian Oseberg field couldn't lend any support. 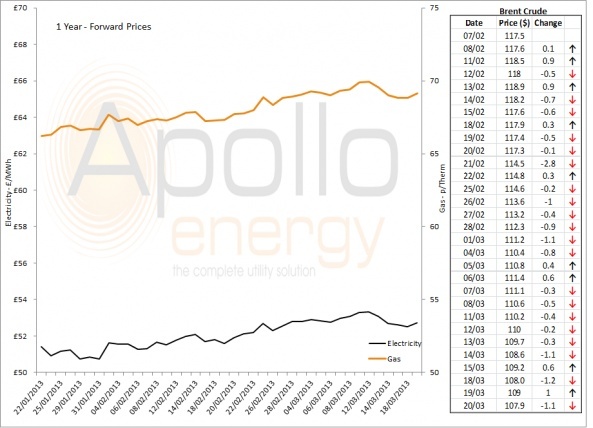 We saw weaker demand for gas yesterday. 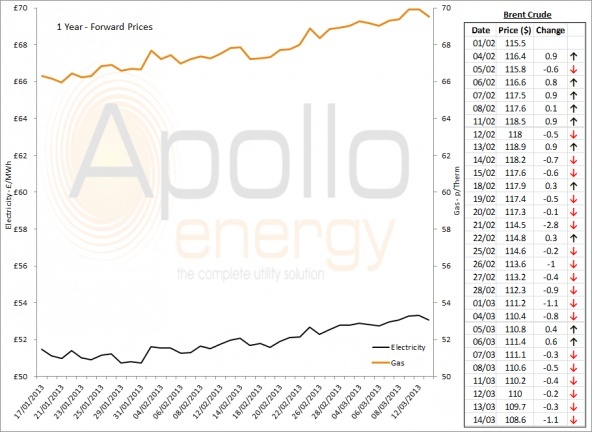 This, combined with a comfortable pipeline supply, helped to push European spot and near curve gas prices down. 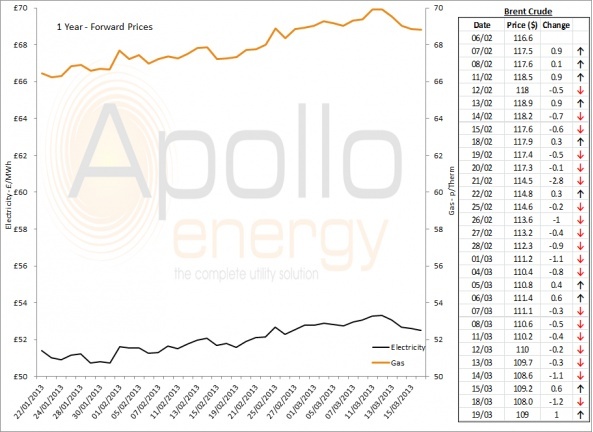 After a strong start yesterday, NBP gas spot and near curve prices fell throughout the day - as demand was revised down. NBP ICE April 2013 pushed higher to reach 70.250ppt before closing at 69.180ppt.